Learn real world investing skills while having fun with Bank Foreclosure Millionaire! Bank Foreclosure Millionaire is a realistic property investment sim, throwing you into the dog eat dog world of house flipping. Playing the role of a profit hungry property investor, the goal is to master all the techniques and tricks of the trade to make as much money as possible. This game isn’t for hyper casual gamers – but that isn’t a bad thing. Bank Foreclosure Millionaire provides players with a deeply educational, fun game, allowing you to learn real-world strategies and apply them in a risk free game world. In the game you’ll learn how to use different techniques and strategies to buy and sell property. From wholesaling and rehabbing to playing landlord and buying fire damaged properties at a discount, the game has lots of juicy content that players with a real-world interest in property investing will love. The developer has included some genuine learning resources within the game, in the form of PDFs, videos and tutorials. Using this information you’ll learn how to negotiate and assess real estate deals to make a profit – then test your new knowledge in-game. You’ll find plenty of awards and achievements to earn to keep you interested and keen to progress, and the game encourages competition between friends and family to see who can make the most money. Compete at your own risk, though – we all know how many relationships have been destroyed by a heated game of Monopoly! 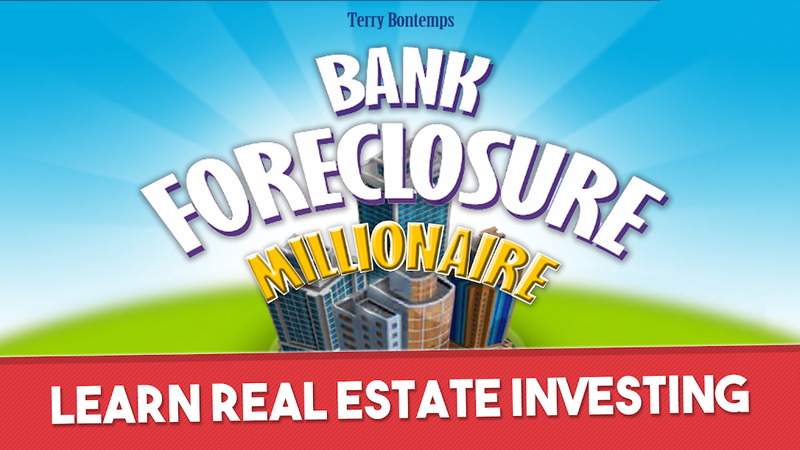 If you’re interested in learning how to invest in properties and don’t know where to start, Bank Foreclosure Millionaire is the perfect place – it provides players with an interactive, risk-free way to learn the basic techniques and practice them in a fun game.